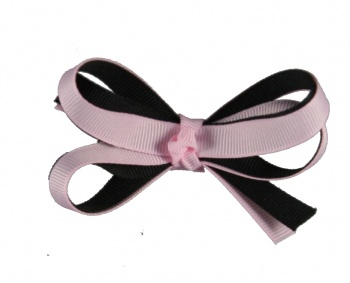 This is double layered bow with light pink and black colors. There is 36 inches of 3/8 inch grosgrain ribbon wrapped up in this little bow. The center is a french knot with the same pink ribbon and it is attached to a lined alligator clip. Perfect for babies and the little ones.